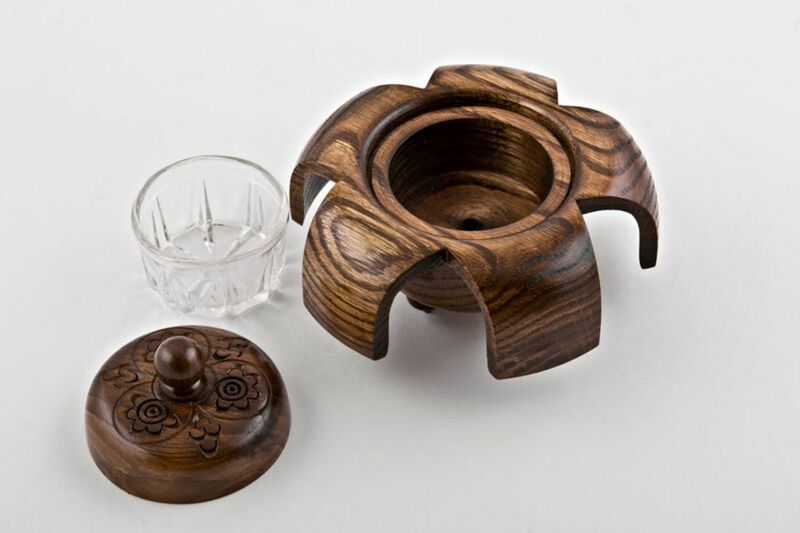 An original handmade ash-tray is made in the shape of a flower. 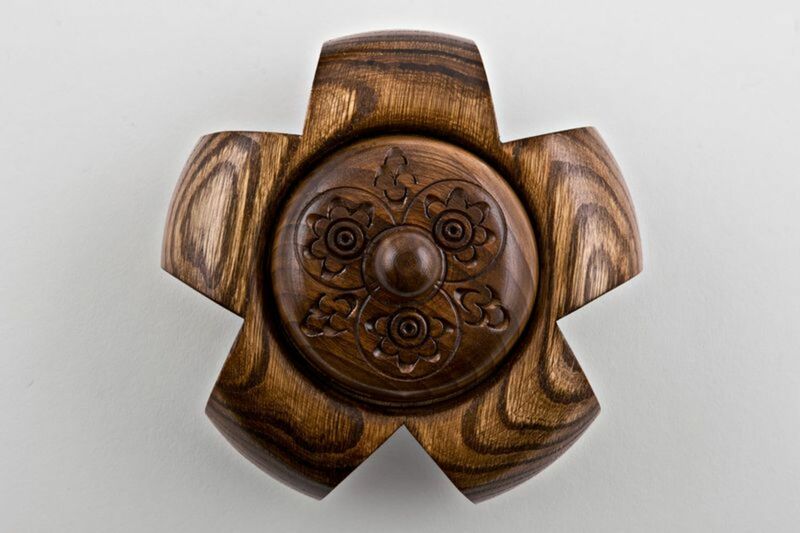 It will nicely fit in a country house interior. 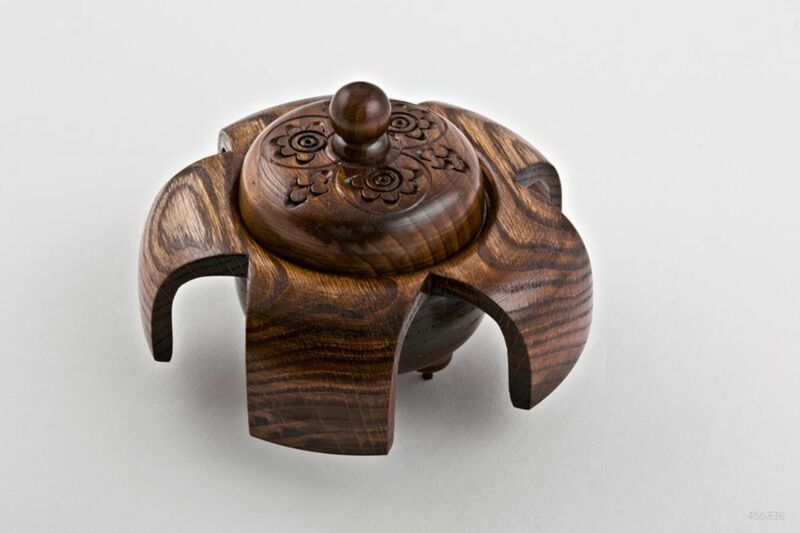 Product is made of walnut wood, toned and decorated with carving. 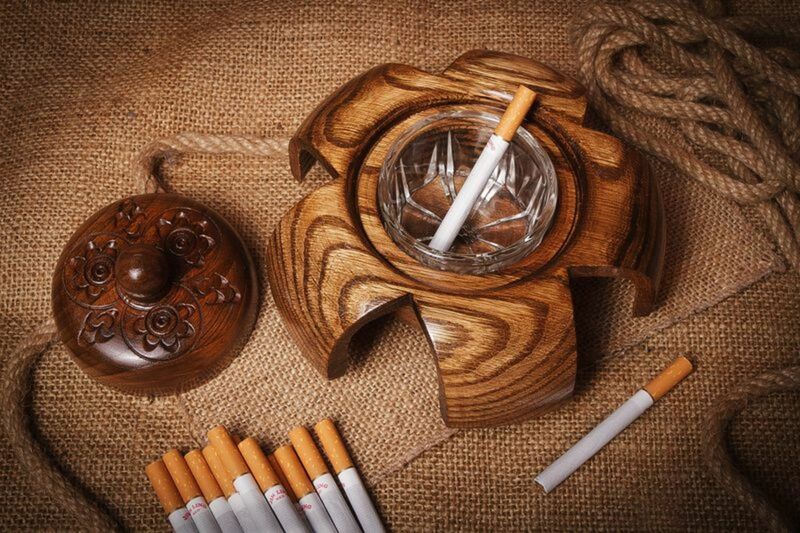 There&apos;s a metal stand inside of an ash-tray. 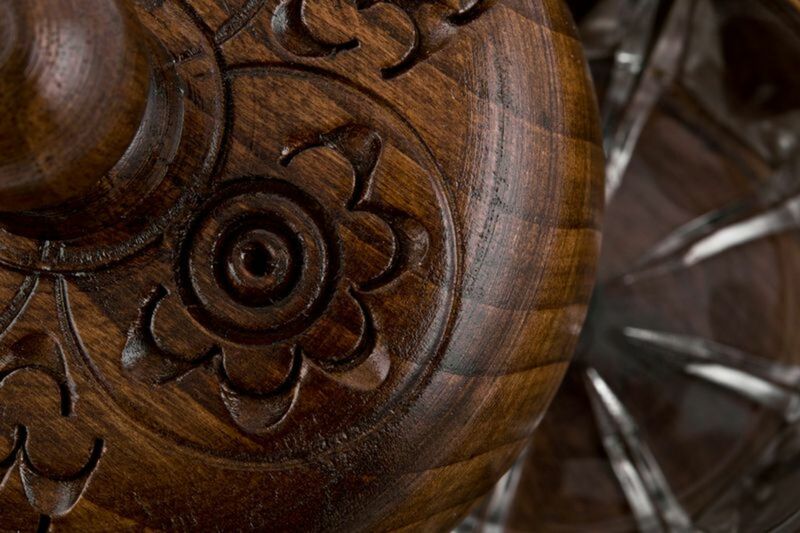 Note: product can be made of different types of wood. Wipe the product with soft fabric, keep it from direct sunlight and moisture.